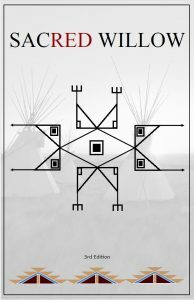 The Great Plains Tobacco Prevention Project developed the Sacred Willow Book to share stories about traditional tobacco. Traditional tobacco is tobacco and/or other plant mixtures grown or harvested and used by American Indians and Alaska Natives for ceremonial or medicinal purposes. There is a variety of “traditional tobacco” that the different tribes of the Great Plains use, in this book traditional tobacco is referred to as the plants that the Lakota/Dakota use as offering, smoking during prayer and ceremony. The book also describes the burdens of commercial tobacco and information about the Great Plains Region.